Thomas V. Harrington, a native of Cleveland, OH attended Dyke College (David Meyers College), where he studied Business Administration. He entered the Insurance and Financial Services Industry in 1975 with the New York Life Insurance Company where he served as an agent, registered representative, sales manager, and development associate. On November 1, 1999, he started Thomas Harrington & Associates, an insurance and financial service firm. Thom’s firm specializes in advising and consulting with individuals and small business owners in, Employee Benefit Plans, Executive Benefit Plans, Estate Conservation, Life & Health Insurance Plans, and Retirement planning. His industry accomplishments include M.D.R.T., National Quality Award, and National Sales Achievement Award. 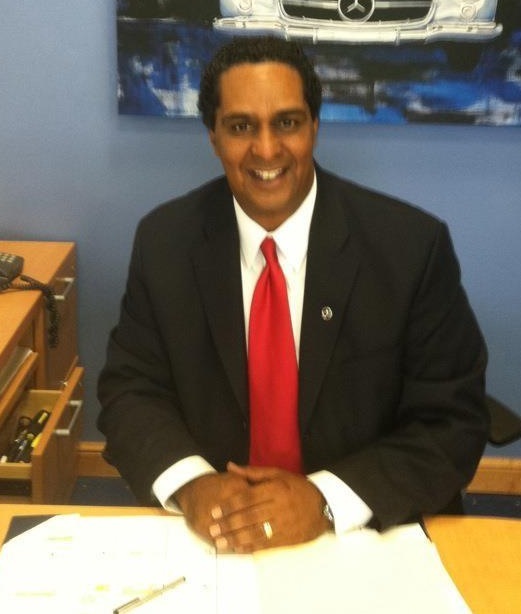 He is a member of the Cleveland Association of Insurance and Financial Advisors. He was selected Rookie Rose Bud in 1978 and served on the Board of Directors for the Cleveland Association of Insurance and Financial Advisors in 1979,1980, and 1998. His New York Life Insurance Company accomplishments include Council Qualification, Centurion (paying for 100 cases or more during a year), and 1976 Northern Ohio Agency Rookie of the Year. Community activities include member of the East Mount Zion Baptist Church, President of the Board of Trustees for the Phillis Wheatley Association. He is married and lives in South Euclid with his wife Charetta and their three daughters, Tara, Charllen, and Charlotte Theresa. Ms. Gregory is the immediate past-President of PWA and received the “Jane Edna Hunter Award” for her leadership, dedication, and commitment to the agency and the legacy left by its founder, Miss Jane Edna Hunter. She has also been recognized by United Way Services of Greater Cleveland for her volunteer efforts at PWA. In 2007, Ms. Gregory was named one of the “Top Ten Women Business Owners in Northeast Ohio” by the Cleveland Chapter of the National Association of Women Business Owners (NAWBO). She also volunteers her time providing college and early awareness seminars and financial aid workshops for organizations such as Granville Academy and the Boys and Girls Clubs of Greater Cleveland as well as local churches. Lakeview Baptist Church where she serves as the Director of Christian Education, Scholarship Coordinator, Sunday School Teacher and delegate to the National Baptist Convention USA, Inc. Congress of Christian Education. She and her husband Eddie are the parents of four grown children and currently reside in Seven Hills, Ohio. Carolyn R. Smith has been working with the City of Cleveland’s Storefront Renovation Program (SRP) since 1999. She worked at Glenville Development Corporation and St. Clair Superior Development Corporation and completed numerous projects that created stabilized Business Revitalization Districts and jobs for neighborhood residents. In 2005, she became a Coordinating Consultant with the SRP providing technical assistance, training and mentoring SRP Program Coordinators within eight community development corporations. Carolyn was also selected to attend the NTHP”s center for Preservation Leadership Training that was held in Owatonna, MN in June 2007. With the support of her colleagues and active membership with the Cleveland Restoration Society, Carolyn has been a recipient of the Diversity Scholarship Program. In this capacity, she traveled the NTHP’s National Preservation Conference that was held in Portland, Oregon and St. Paul/Minneapolis, MN; the Diversity Scholarship Program paid for hotel accommodations and registration fees. These experiences given her a strong foundation and understanding of historic preservation principles, practices and current trends. Ms. Smith has been involved with neighborhood revitalization strategies that preserve the integrity of urban neighborhoods since 1996. She has proven to be an invaluable resource to those who have utilized her services as well as being an outspoken advocate for historic preservation. Communication the importance of leveraging resources to enhance the properties in neighborhood retail districts has allowed her to strengthen the fabric of many communities. She is extremely dedicated, passionate and committed to commercial revitalization management in the urban environment. Carolyn holds a BS in English from Tennessee State University; Master of Educational Administration from Kent State University; and a Masters of Public administration concentration in Economic Development from the Maxine Goodman Levin College of Urban Affairs at Cleveland State University. Charles Kramer was the owner and director of a business college for over twenty-six years and has been closely associated with post-secondary career schools for the past thirty-eight years. He is currently a consultant for Educational Management Services, Inc., which is a firm of professional consultants specializing in post-secondary education management. Appointed by Governor Richard Celeste in 1989 as the School Representative to the present Ohio State Board of Career Colleges and Schools, he continues to serve on this board that provides regulatory oversight of career colleges and schools in the state of Ohio. He has been re-appointed to this board by Governor Voinovich, Governor Taft and Governor Strickland. He has assisted the State in developing and implementing teach-out procedures for school closings in Ohio. Mr. Kramer has served in the capacity of Treasurer, Vice President and President of the Ohio Association of Career Colleges and Schools (formally the Ohio Council of Private Colleges and Schools). He provides assistance to institutions in developing business plans and applications and proposals for training programs funded by the Workforce Investment Act (WIA), Empowerment Zone, Urban League, Bureau of Vocational Rehabilitation, One-Stop Centers, Veterans Administration and the U.S. Department of Education (Title IV). In June 2009 Mr. Kramer received the Jane Edna Hunter Award for Service from The Phillis Wheatley Association for his years of dedicated service to the agency. He is the current Treasurer for this organization. He is a member of St. Brendan Catholic Church and serves as a Eucharistic Minister. He is married to Jackie Kramer and they are the parents of 4 adult children. In 1985, Judge Alison L. Nelson Floyd came to Northeast Ohio to attend Case Western Reserve University School of Law after completing her undergraduate degree at the University of Virginia in Charlottesville, Virginia. She received her Juris Doctorate degree in 1988 and was admitted to the practice of law in the State of Ohio on November 7, 1988 and in the United States District Court for the Northern District of Ohio on May 23, 1989. Judge Floyd has been professionally and civically active in our community. 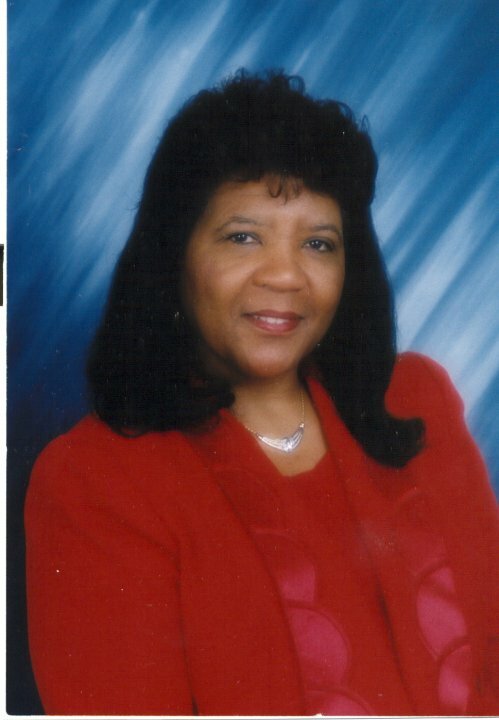 She has served as a member of the Phillis Wheatley Association Board of Trustees since 1995. In 1998, she was the recipient of the Jane Edna Hunter Award given by the Board in honor of the agency’s founder for major accomplishments in achieving the mission of the Association. Judge Floyd had actively served on committee which supports Camp Mueller. She has also served on a co-evaluator for Senior and Elderly Services Programming for the Board as it fulfills its mission to our local seniors and residence of Emeritus House, and strategically plan for the agency’s future. During her tenure on the Board, she was a past president of the Norman S. Minor Bar Association, a graduate of the Leadership Cleveland Class of 2003, and served as the First Judicial Fellow for the Criminal Justice Program of Myers University, in Cleveland, Ohio. Judge Floyd was first listed in the Who’s Who in Black Cleveland in the 2004-05 editions. Judge Floyd has served as Lead Judge to the National Council of Juvenile and Family Court Judges, as a member of the Cuyahoga County Systems of Care Oversight Committee, and was a Community Representative to the County-wide Policy Committee for CEOGC. Judge Floyd also serves on the Ohio Supreme Court’s Task Force regarding Abused, Neglected and Dependent Children, and the Juvenile Law and Procedure Committee for the Ohio Judicial College. In 2011, Judge Floyd was honored by her fellow members of the Black Women’s Political Action Committee for public service, by Phi Delta Psi Fraternity for her passion in her field of work, and by the Southern Christian Leadership Conference (SCLC) and the Community Covenant Oversight Team, Civil Rights Award, for making a difference in the lives of juveniles. Judge Floyd and her husband, Attorney Lawrence R. Floyd reside in Solon, Ohio. She and her husband are parents to four children and four grandsons. They attend Mt. Sinai Baptist Church of Cleveland, Ohio. She is a member of Delta Sigma Theta Sorority. Craig Thompson is Aunt Jane's great-great nephew. He remembers her touch as though it was yesterday. Craig's father was born and raised in Pendleton. He moved to Cleveland with his parents because of Jane. Craig's parents then lived with Jane when they were first married, at Hunters Cove. Their wedding reception was held there! Therefore, Craig has grown up involved in The Phillis Wheatley Association, having attended Camp Mueller as a youngster. Craig Thompson went to college at Dallas Baptist College in Dallas, Texas. He has been in the automotive business for the last 30 years, after a three year stint with the Los Angeles Dodgers. Presently Craig is with Mercedes Benz of Willoughby, where he has been employed for the last 10 years. Also, he owns a small property management company. Craig and his wife Laura have resided in Euclid, Ohio for the last 18 years. They both share a strong enthusiasm towards the Phillis Wheatley Association and will do what ever possible to support The Jane Hunter Project. Ron has been involved with Phillis Wheatley for more than fifteen years, beginning with his service on the Camp Mueller Advisory Committee that was in existence under the then executive director Joyce Daniels. He was appointed to the Board of Trustees in 1999 where he served for two years before taking leave to complete his law school education. He was reappointed to the Board shortly after completing his juris doctor in 2004. Ron oversaw the redevelopment of Emeritus House (home to the agency as well as 56 senior and disabled residents) in 2006 and 2007. He currently serves on the executive committee and oversees the operation of Emeritus House as Phillis Wheatley’s representative in the tax credit partnership. Ron’s community and civic involvement includes leadership roles with several other nonprofit boards and committees. Nominated by colleagues, Ron has been named a rising star in Crain’s Cleveland, Kaleidoscope Magazine and Ohio Super Lawyers. He also received a Multicultural Leadership Award from the Ohio Diversity Council for his efforts to promote diversity and inclusion in the legal profession. Ron is a graduate of the University of Akron School of Law and holds a Master of Business Administration from Baldwin-Wallace University and a Bachelor of Business Administration in finance from Cleveland State University. Josephine Evans is presently a board member but not active at this time. Josephine has been a board member for at least five years. She currently works as a Customer Service Representative for Cuyahoga Community College Metropolitan campus. Presently, Josephine is a graduate student at Cleveland State University in the Clinical Mental Health Counseling program. She volunteers as a Counselor Trainee (CT) internship student at Able Counseling & Associates Inc. and at Couyahoga Community College Counseling department. Josephine lives in the neighborhood surrounding The Phillis Wheatley Association, and she has been for 10 years.